Do you have a favorite soup recipe that your family raves about? How about a chili recipe that could win some awards? 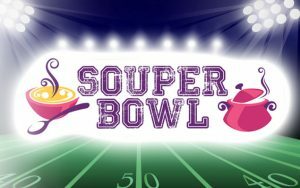 We’re looking for the best cooks at VFES to spoil the faculty and staff at our 2nd annual “Souper” Bowl on Friday, February 1! Sign up for your contribution or to volunteer using our Souper Bowl Sign-Up Sheet!